DANGTOP Air Conditioning Cool Blanket with Bamboo Microfiber- All Seasons Thin Quilt for Adults and Teens. Welcome to DANGTOP, wish you have a wonderful experience in here. Before you place an order, we suggest you can read following description which could give you some advice. Design Process:Reactive printing and dyeing with steam fixed colors combine circular quilting process . Advantage:Healthier for the skin,ultra soft and breathable,perfect for cool summer nights . Use Function: Summer cool blanket can be used as knee blankt and sofa cushion for sleep,travel and all leisure time. Measures:Small-59"x79",Large-79"x91".Various colours for your choice:blue,green,yellow,pink. GREAT FOR HOT, PERSPIRING SLEEPERS - The breathable SMART Fabric and Moisture Wicking Management for year round comfort enabling hot sleepers to stay drier and cooler, cool sleepers to stay cozy. Cold to the touch bamboo fabric features high specific heat capacity which will keep you cool through the night. 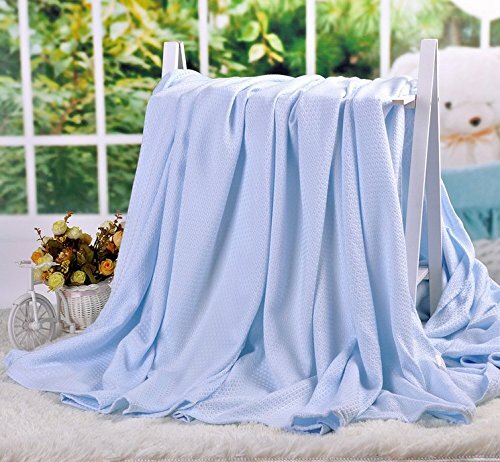 With the cooling feel of bamboo blanket, you will fall asleep faster and stay asleep longer. Made of bamboo Microfiber, ultra sfot & smooth like baby skin. It is soft similar to silk. Perfect for sleeping, cuddling, belly time, or even as air conditioning blanket.Healthier for the skin,ultra soft and breathable,perfect for cool summer nights. Suit for indoor temperature 80F to 95F or good in air condition room, Bamboo has good ventilation, it is amazingly cool in summer (average 3 F cooler). It is cool against your body and it is comfortable under all temperatures,You can use it together with your thick comforter to get warm in winter. Washing Methods: Hand wash please, and DO NOT let the bamboo blanket dry in the sun and it also can't be dried by a dryer. Please hang it on the clothes hanger vertically and dry in a cool ventilated place, then the blanket will restore to its original size. Or if you have a garment steamer or steam iron, you can ironing it by steam. When the wrinkles disappear, the blanket will also can restore to its original size. Abreeze your best and wisest choice!!! There are more options waiting for you! Our kids quilt will be the perfect addition to your home. Fabric: Made of high quality cotton,hypo-allergenic,good for your kids treasure's skin and health. Pattern: Unique design and prints, more beautiful and bring more interest for your kids.Your kids will definitely fall in love to it ! S size: 43''*51''suitable for 0-3 year old as throw blanket /toddler blanket or kids quilt/coverlet/bedspread; L size : 55" X 75" near for Twin size bed. Great for game mat, crawling blanket, stroller blanket, covers in air-conditioned room, can be used as quilt/coverlet/bedspread, muti-functional usage. It's a very special and very great gift for your kids,for your friends and for your family! Machine washable in cool or lukewarm water that's less than 104 F. Set wash cycle on "gentle" . Do not bleach. Do not soak or sun for a long time. 1.Size: Please allow 1-3cm error due to manual measurement. 2.Due to different screen display, the color of the actual item may vary slightly from the above images.Please understand that. 100% Satisfaction Guarantee-- We are so confident you will love our products like our other 5-star reviewers. Please feel free to put the order,if you have any other questions,just contact us,we will reply within 24 hours. Our first goal is to provide you with the ultimate best customer service in the world and make you a lifetime happy customer, shop happy and confident with our 5-star satisfaction guarantee. Material: Cotton high-density fabric. Small size:43''*51''; Large size : 55" X 75". MORE PATTERN, please search asin: B07CM1F5Z5. Soft and breathable. Good for your treasure's skin and health. Machine washable. No fading, no pilling, gets softer with each wash, sleep your baby and peace covered in love and keep. MULTIPLE USES as baby/kids blanket for bed/sofa/couch/Summer Air-Conditioning, or outside travel and picnic, even a soft sheet for winter. Play mat on the floor can be everything you need ! Abreeze bedding series offer high quality environmental, natural, health, cozy bedding products for kids and adults, the ones who care and improve the quality of life. 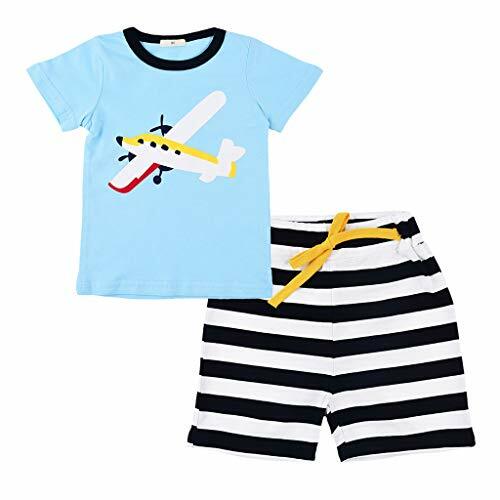 1.We mainly deal in all kinds of baby's & kid's wear, including all kinds of fashionable suits, jumpsuits, tops, pants, shoes, and other baby clothes accessories, including hats, hair bands, scarves, gloves, socks, leggings and etc. 2.In addition, we also have a variety of maternal and child supplies, including nurses bibs, eating tools, diaper, bathing, travel tools and etc. 3.We are aslo selling the early educatinal toys , which can help your baby grow up more quickly. 2.If you receive damaged items or your item have anything wrong, please be free to contact us , we will try our best to solve it. 3.To Make sure you get the right size, please refer to our size chart before buying. 1.We can give you a very fast delivery and good customer service, so I believe you will have a wonderful shopping experience. 2.If you have any dissatisfaction with your item, please email us before you leaving any 1 or 2 ratings, negative feedback.Your satisfactory is always our Priority, We will do our best to resolve the issues. 3.If you are satisfied with our service, please leave us a 5 star positive feedback.